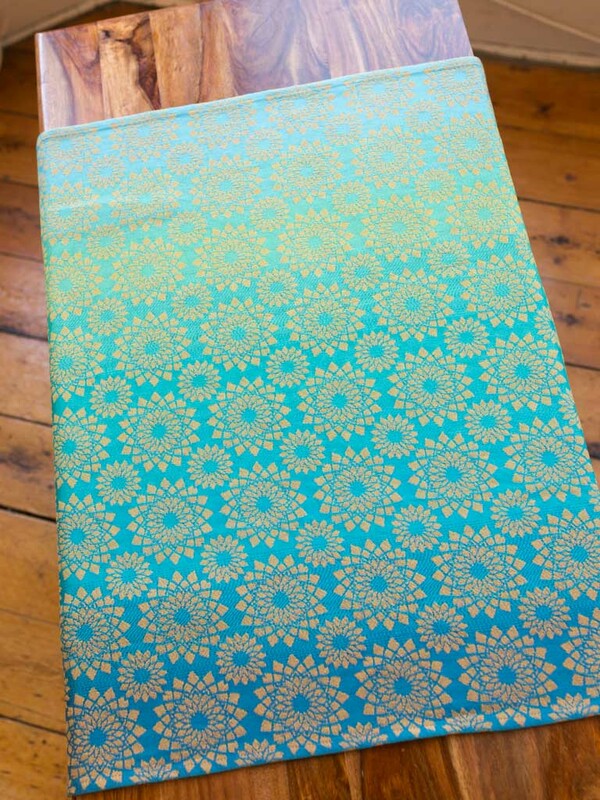 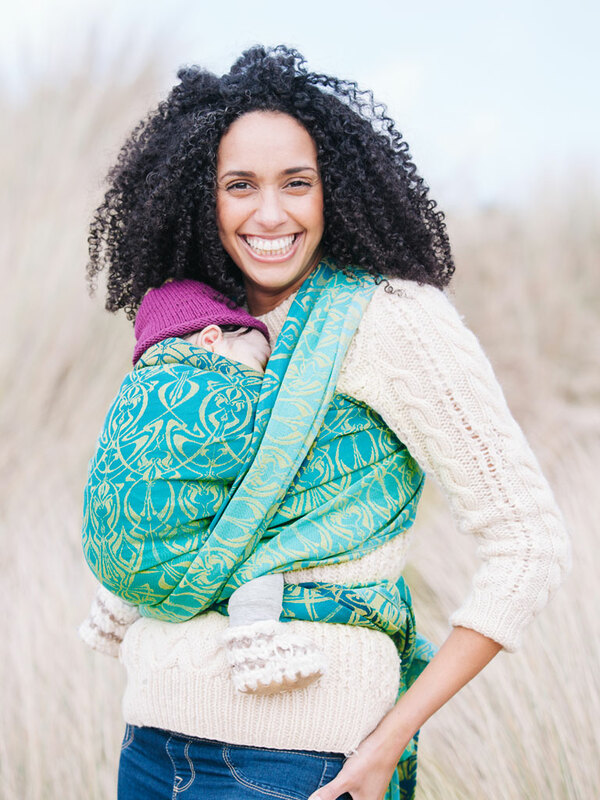 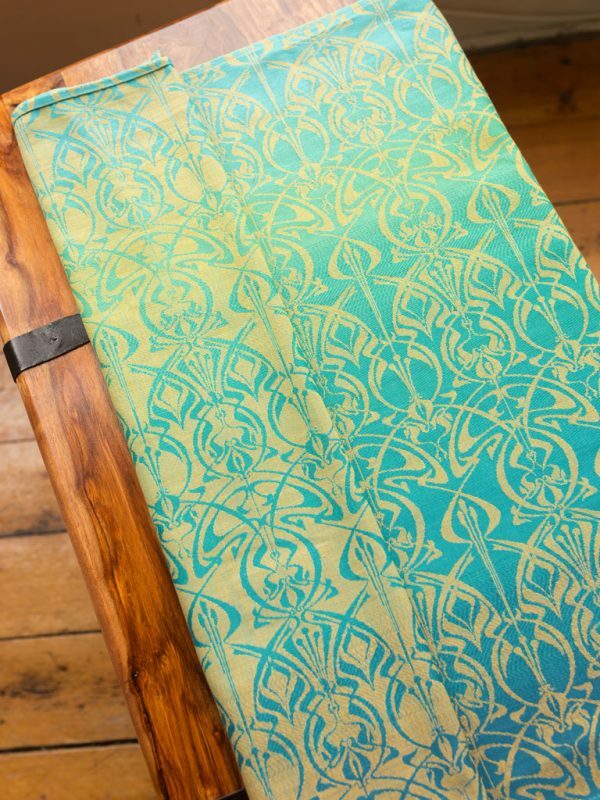 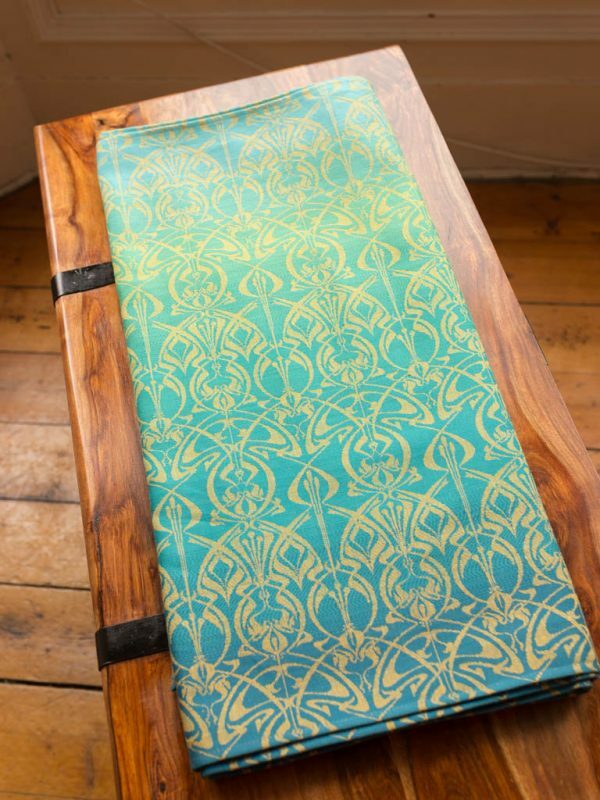 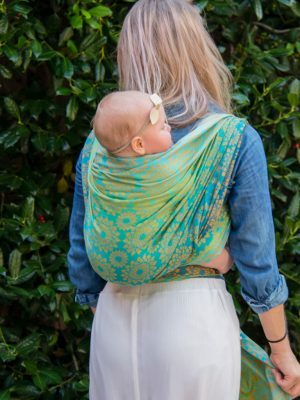 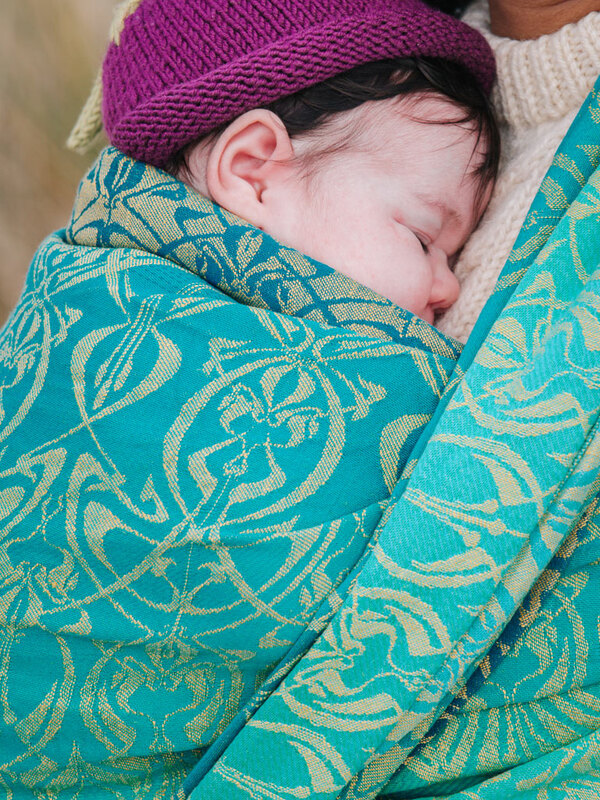 This beautiful baby wrap is inspired by the varied tones of sea glass, woven with a stunning fade of greens which run from deep, rich teal to a fresh mint. 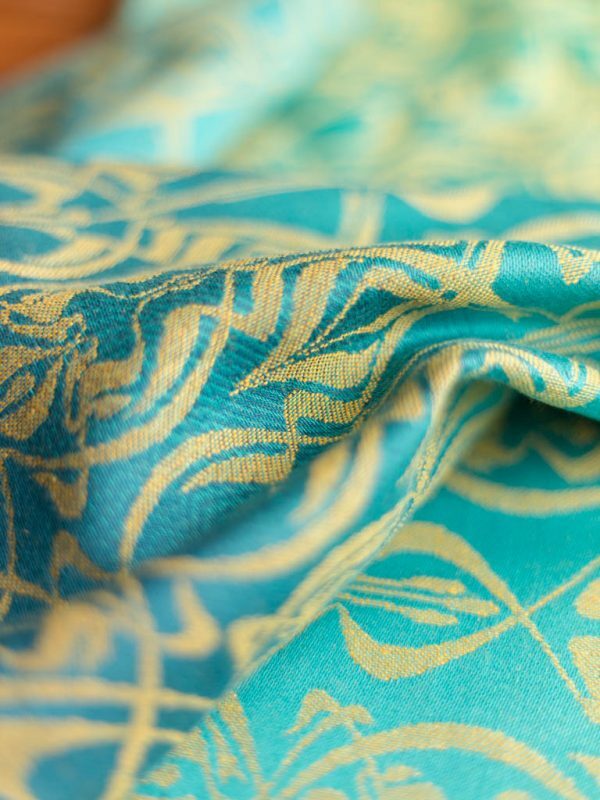 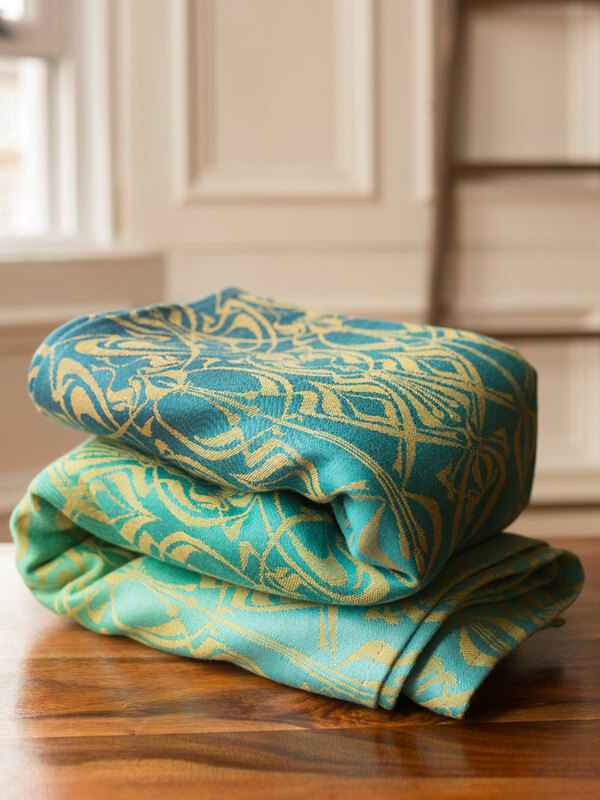 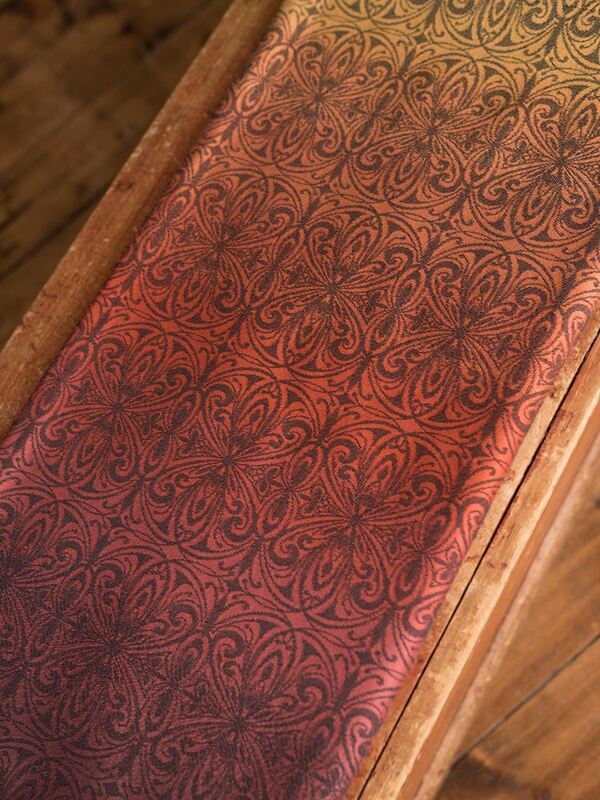 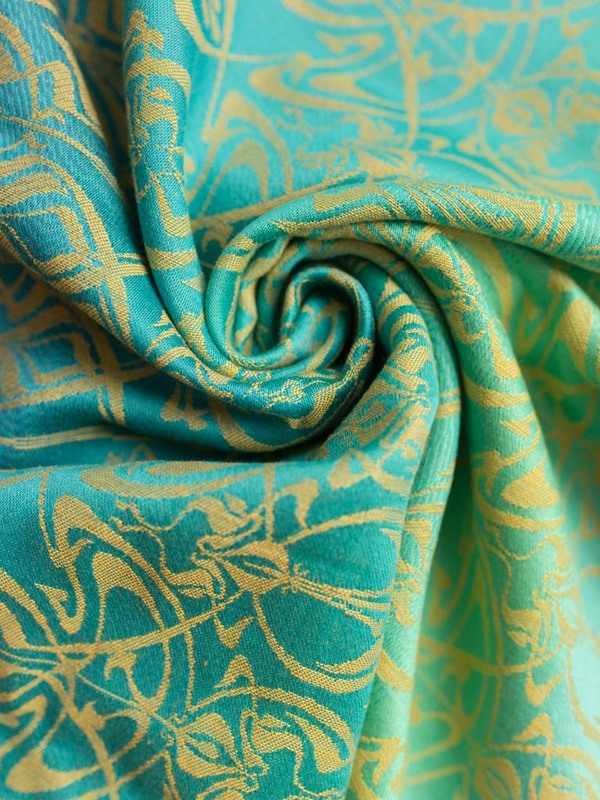 Britspun Supima cotton adds a rich shimmer and cush, while golden wetspun linen picks out our intricate Libero pattern and adds an unparalleled strength. 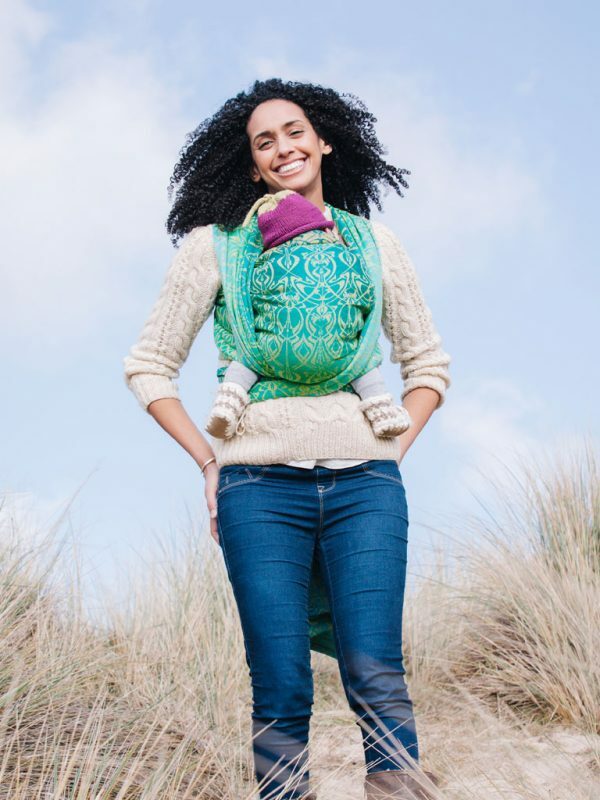 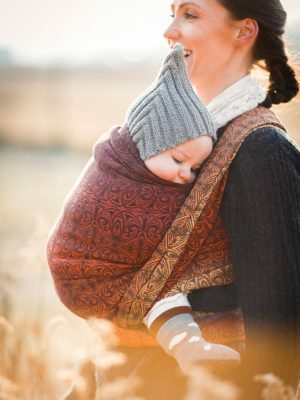 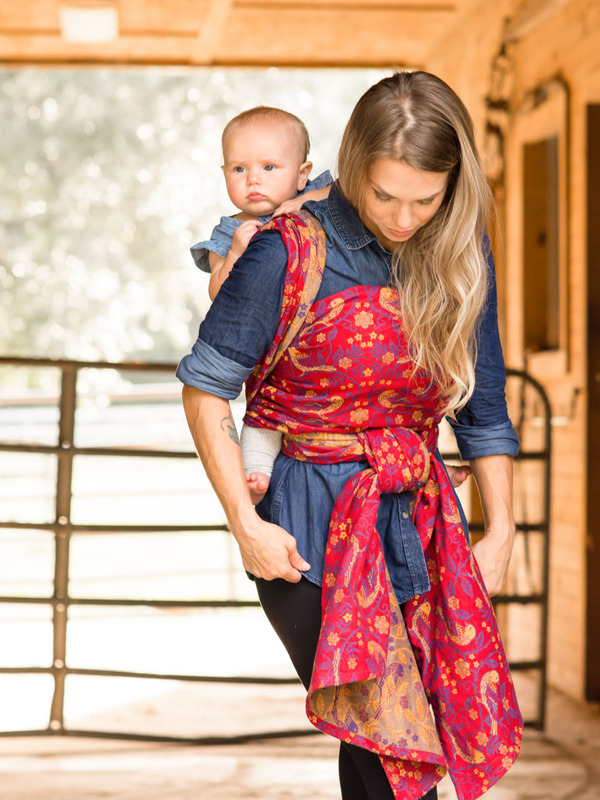 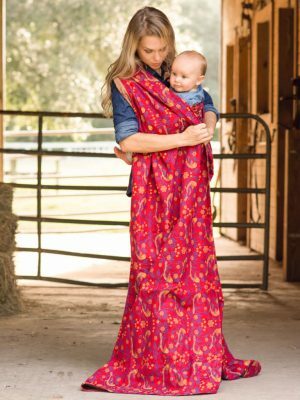 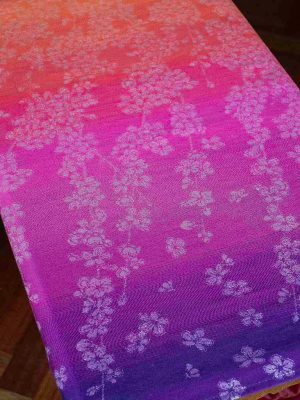 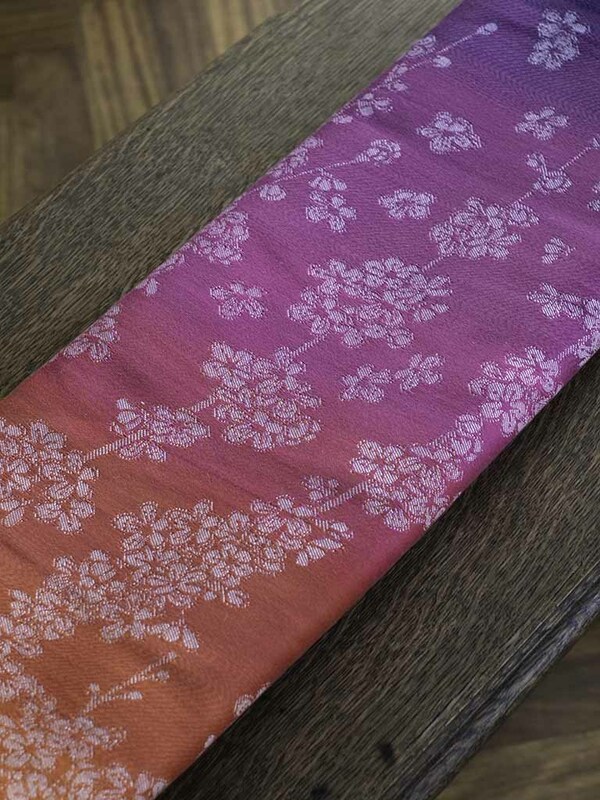 These high-quality natural yarns are soft on delicate skin making this handmade baby wrap perfect for use from newborn through to toddlerhood and beyond.